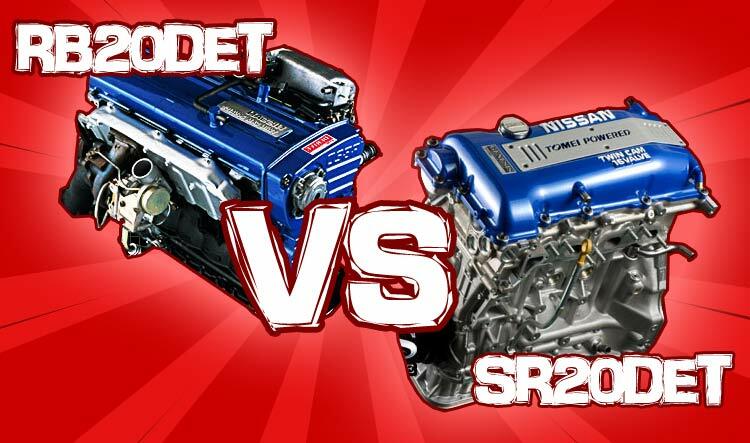 We pitch the RB20DET Vs SR20DET in a head to head battle. We compare power ratings, engine specs, tuning videos and more to see which engine comes out on top. The RB20DET was first introduced in 1986, fitted into the R31 Nissan Skyline (the GT Passage, GTS Turbo, GTS-R, GTS-R and GTS Autech variants). It went on to join it’s larger siblings (RB25DET, RB26DETT) in the R32 generation Nissan Skyline. The six cylinder layout provides a scintillating sound track while the two litre displacement accommodates solid tuning potential. Rumours within the enthusiast community are that the stock engine internals should be robust for up to 400ps at the flywheel. This Japanese built turbo charged four cylinder engine has powered over two decades of reliable drift cars. It is cheap to purchase, reliable up to circa ~ 400ps on stock internals and extremely tuneable. You can read more SR20 specs right here. While the RB20DET offers great out of the box performance, there are rumours that the engine can suffer from high corner load oil starvation – whether this is true or not we can’t say. 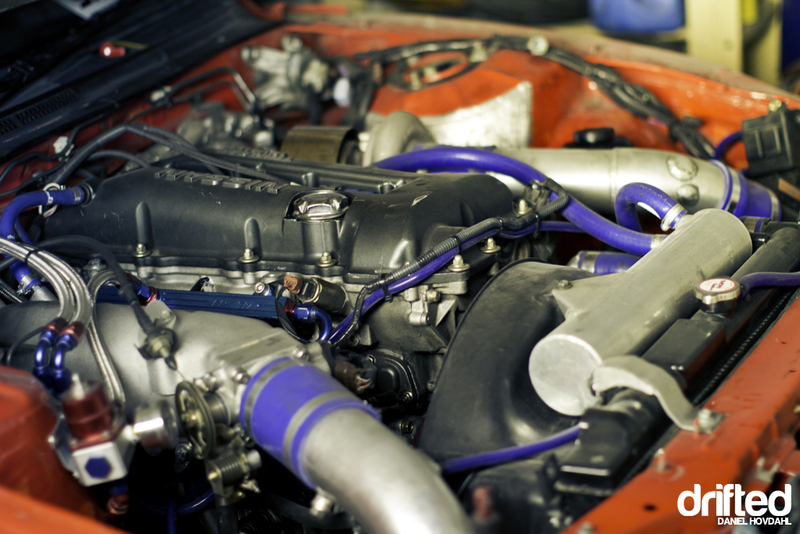 The RB20DET also makes less power and less torque out of the box in it’s most powerful configuration against our SR20DET. Being a six cylinder engine the RB20DET is longer and heavier then the SR20DET so it could be argued that the SR20DET is the better choice for a lighter and better balanced chassis. With that said both engines have solid tuning potentials of circa 400ps at the crank attainable with just bolt on parts. Crank up your speakers and enjoy these four sound clips of our engines. Skip to 0:18 to bring the noise! While the SR20DET makes a reasonably pleasant sound under load it is still a four cylinder engine, while the six cylinder RB20DET is the clear winner here with it’s fantastic sound track. On full chat the engine sounds absolutely glorious. Five stars RB! So what are these engines like to tune? Let’s find out – I searched deep into YouTube to find two clips showing two heavily tuned examples of our engines making power on the dyno. The highest horsepower output that I could find on YouTube for the RB20DET is this video with circa 400ps at the wheels. Impressive. This video shows an internally stock SR20DET making over 480ps at the crank. Great job! Keep watching the video and you will see a built engine clock over 600ps. Both engines offer great tuning potential however with the SR20DET being so popular the aftermarket is awash with off the shelf tuning parts to help you build your perfect engine. The RB20DET is on paper just as tuneable as the SR20DET however there is noticeably less aftermarket tuning support available for this engine. 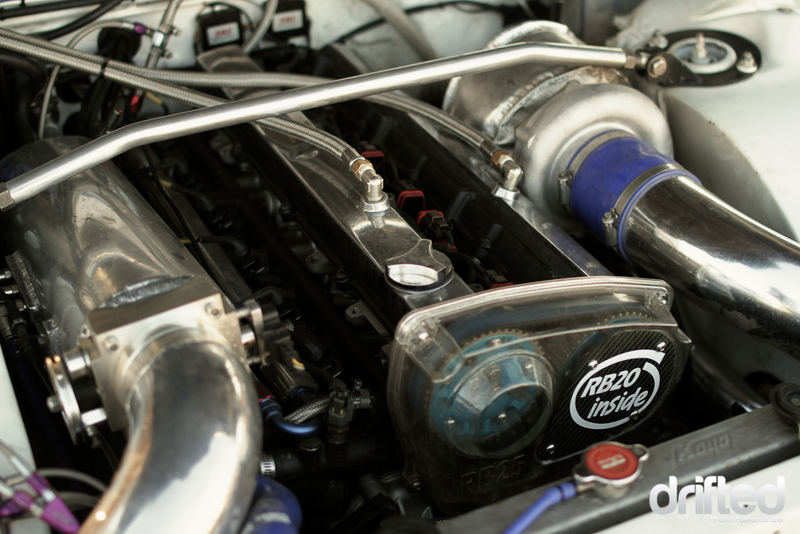 Drifted asked tuning specialists FC Tuning what they thought of the RB20DET and their reply was extremely favourable. So what do drifters themselves think of these two engines? Let’s jump on board with these drivers as they put our two engines under some (sideways) pressure..
Reading drifting forums and browsing YouTube shows that their is a lot of love for both of these engines in drifting. While neither engine has the cachet of a 2JZ or the reputation of an LS both engines score a solid four stars. So it’s time to count our stars and see which engine is the winner. The RB20DET has earned 17 stars. The SR20DET has earned 16 stars. 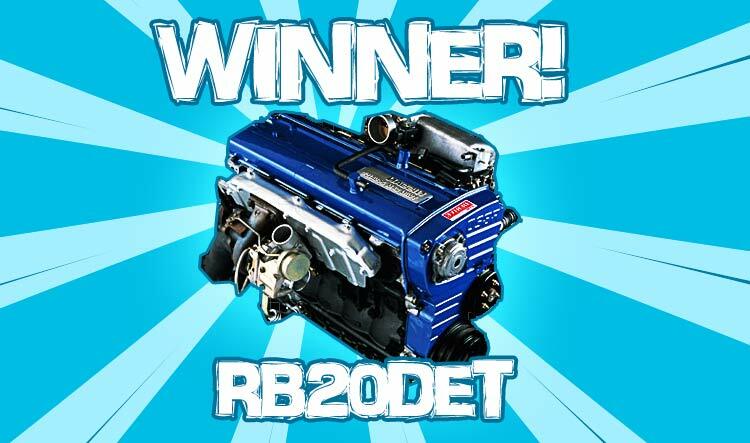 The RB20DET is the winner! While neither engine is a darling of the drifting community (2JZ i’m looking at you) both engines are a great choice to power a drift car; with two liter displacement, solid tuning potential and excellent aftermarket support it shows that you can’t go wrong with either. With that said there has to be a winner so congrats RB20DET, sip on some fresh Royal Purple – it’s on us. Building a forged SR20DET step by step. If you are building your own SR20DET perhaps you would be interested to read our SR20 tuning guide. Please don’t forget to subscribe to Drifted so you don’t miss any of our upcoming Head to Head challenges!